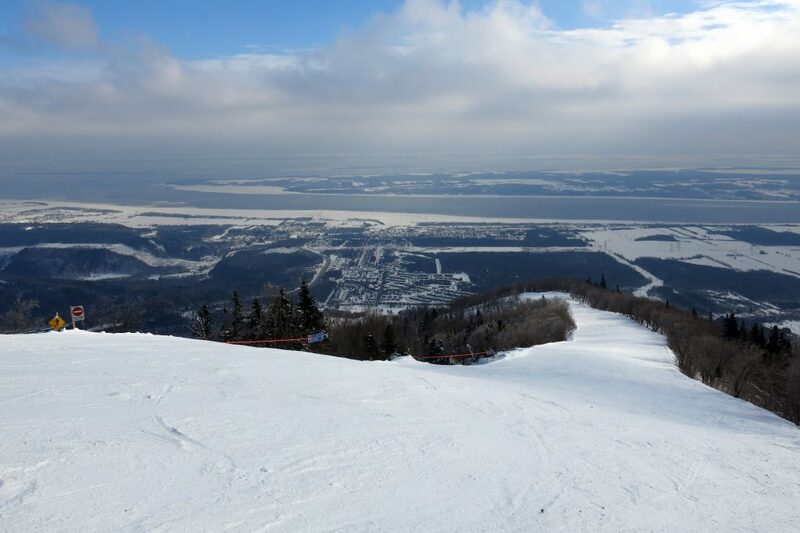 Mont-Sainte-Anne is located almost within the city limits of Quebec (City) with an impressive collection of steep groomers and great views of the St. Lawrence river. It’s one of the 3 largest resorts in Quebec. The drive to Mont-Sainte-Anne from downtown Quebec City was something unusual for us. It’s pretty much city and suburb the whole way and not necessarily that visually appealing once you leave the old part of the city. 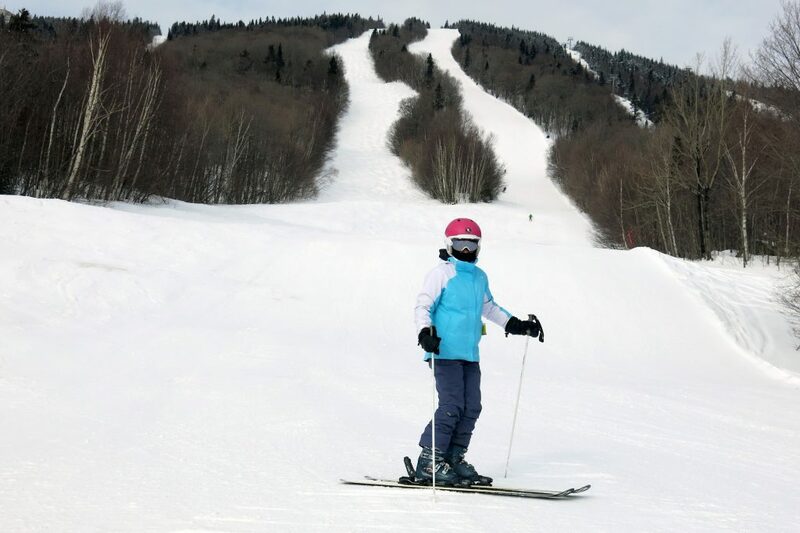 It almost feels like that mountain shouldn’t be there, but it’s great that it is because it’s a superb asset for Quebec City dwellers that are already blessed with great access to just about every winter sport. 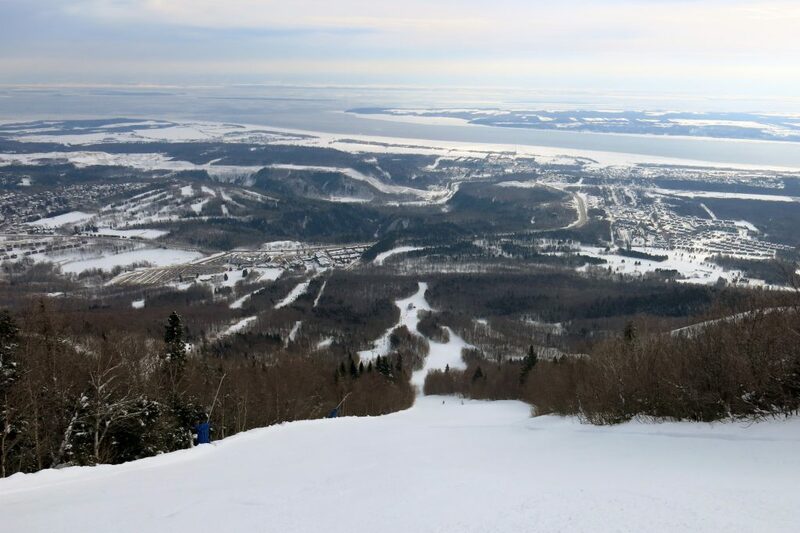 Mont-Sainte-Anne is the centerpiece, and if it wasn’t for nearby Le Massif this would be the best resort in Eastern Canada. The resort looks impressive from the parking lot with lots of steep runs on the south side. The east side of the resort is easiest and that’s where we started. L’Express Du Sud is the main lift there and one of only 2 lifts open on the south side weekdays. These runs are mostly groomed intermediate runs and it’s the best terrain for the majority of skiers. They light most of those runs for night skiing. It’s good, consistent fall-line intermediate skiing. The Gondola on the South Side has a name I’m not even going to try to write because I’ll probably misspell it, so let’s just call it “The Gondola”. This resort is VERY french with 100% french speaking locals, trail signs, and employees. The only people we found that could speak english were in the ticket office. We had to order food by pointing and gesturing, but we got used to that after a few days in Quebec so it was no big deal. 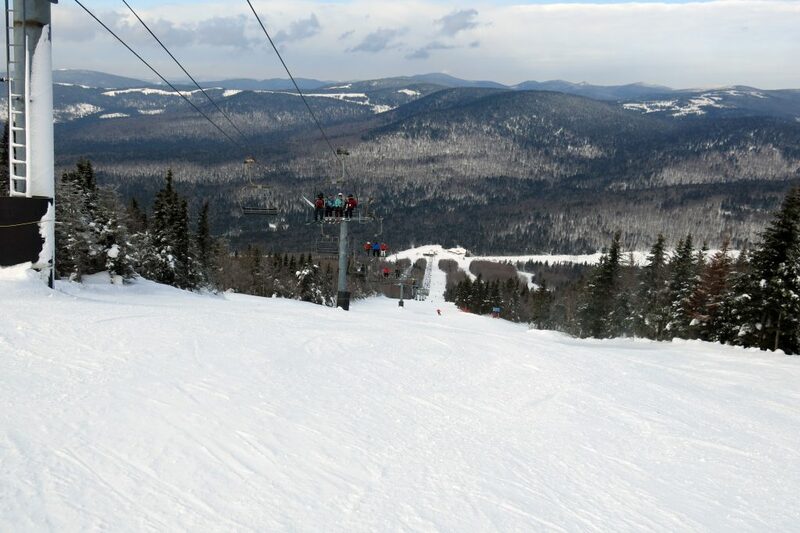 The Gondola serves the best terrain on the mountain, with several impressively steep, wide groomed runs. The snow conditions were typical (for Quebec) groomed and tilled ice, with no opportunity to ski anything but groomers. The steeper stuff got much more challenging holding an edge of course, so some of these like “La S” and “La Super S” gave us pause. You can’t really see the steepness of the trails until you are committed which adds another level of excitement. 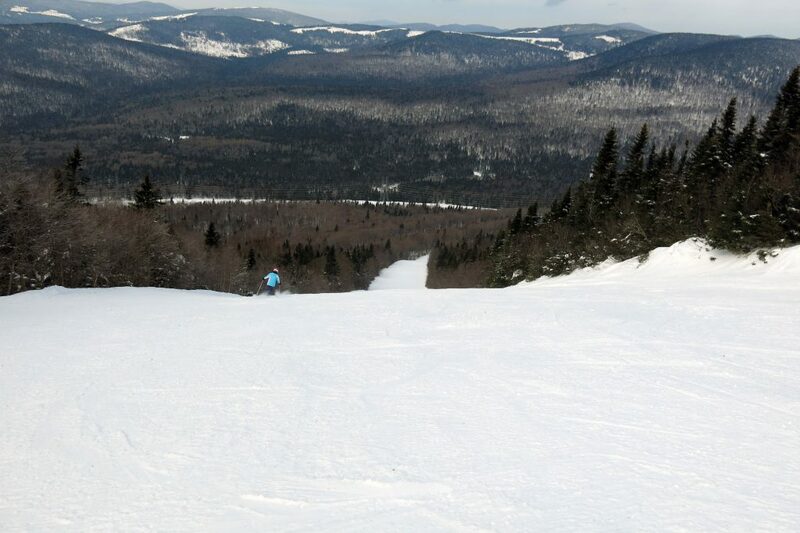 There were very few people skiing these runs and it was a lot of fun flying in a pair down these runs top to bottom. We did all of the groomed runs on the South side, but our fun was interrupted by the Gondola breaking down. With only 3 lifts open in the entire resort, this wasn’t good. If the Panorama Express was open it would have been a non-issue, but that wasn’t the case unfortunately. We felt like the resort was really cutting corners with staffing all over the mountain. There was only one restaurant open, and only one ticket office. The food at the only open restaurant was mediocre by Quebec standards, but not bad by ours, but if the resort wants to compete for destination skiers they are going to have to do better by staffing up and providing better service. We didn’t even get to ski the west side because La Corde Raide was not open at all with ropes blocking off all that terrain. The same thing happened to us at Fernie which is another RCR resort, so it seems to be a corporate policy. 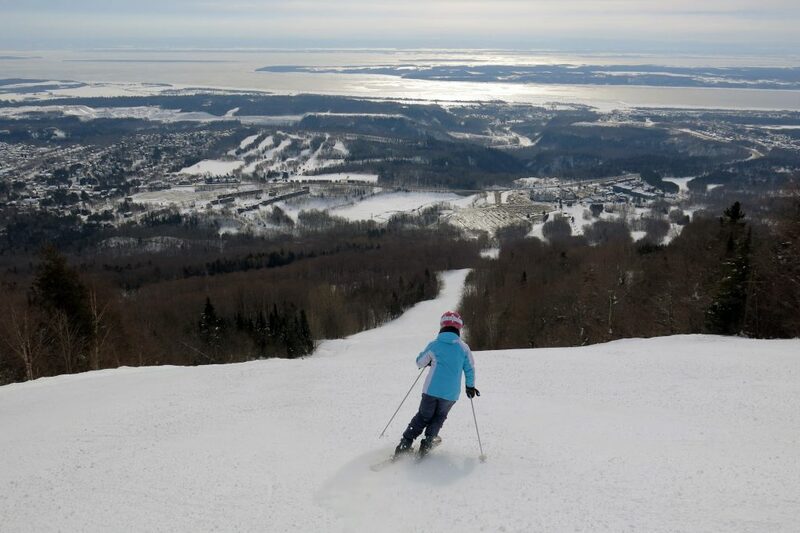 There is probably just too much competition for skiers in Quebec because there are something like 35 ski areas in the province. Luckily cost cutting did not extend to grooming because well over half the terrain was groomed very well. Yes, it was fairly icy but not the boilerplate clear ice we found at Tremblant. And although it was very cold, it wasn’t as windy at the top either. The North Side looks impressive on the trail map with a whole bunch of top to bottom blue runs, but after our first run down we realized this side is much flatter and shorter so we only took a handful of them. This is popular terrain for the clientele of the resort along with the L’Express Du Sud, but good skiers will find that the resort feels a bit on the small side if there is no off-piste available due to snow conditions, because they will pretty much be skiing the one ski pod on the Gondola. 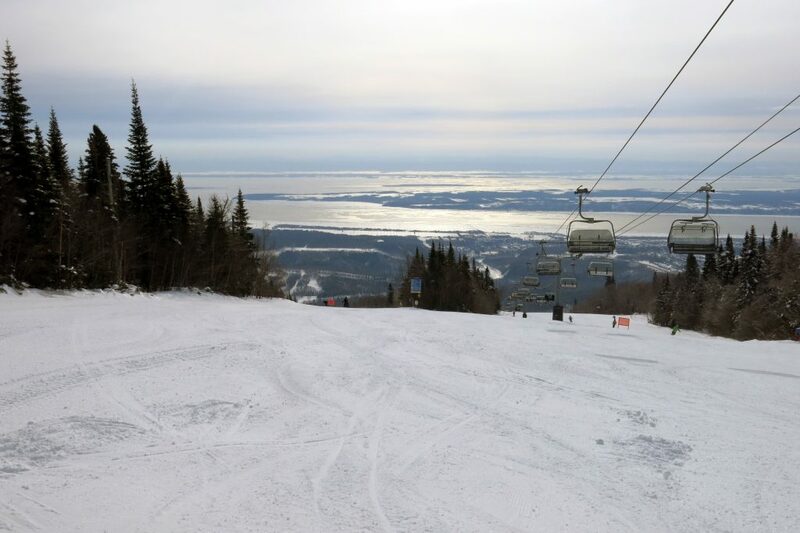 Mont-Sainte-Anne is a great resource for skiers in Quebec City that want to get out for a few hours of fun. 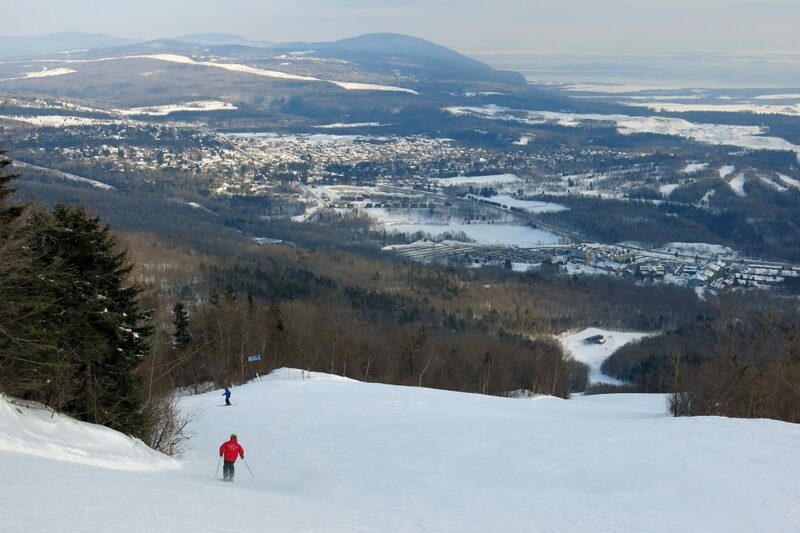 It’s much better than Mont-Tremblant and closer to the main population centers than Le Massif. 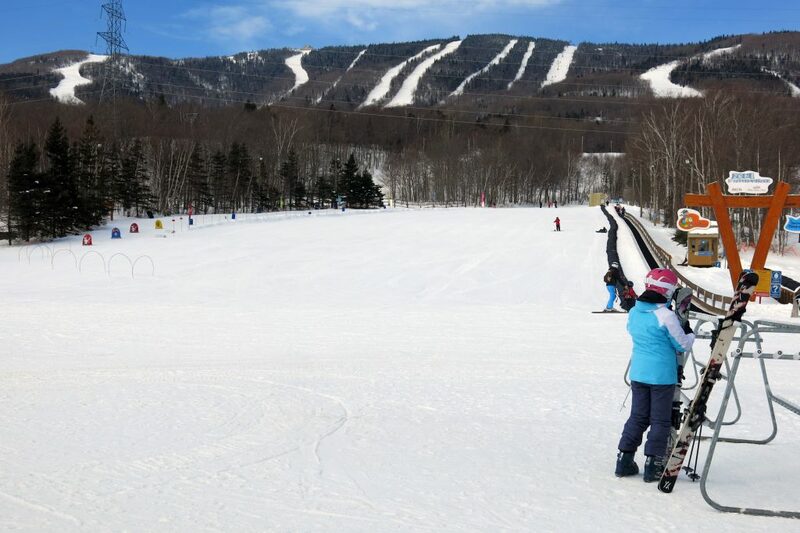 It wouldn’t be the type of place we would travel long distances for, but it would make a great long weekend for people in the East to ski both Mont-Sainte-Anne and Le Massif since they are relatively close.